Text copyright © 1991 by Mike Salter. 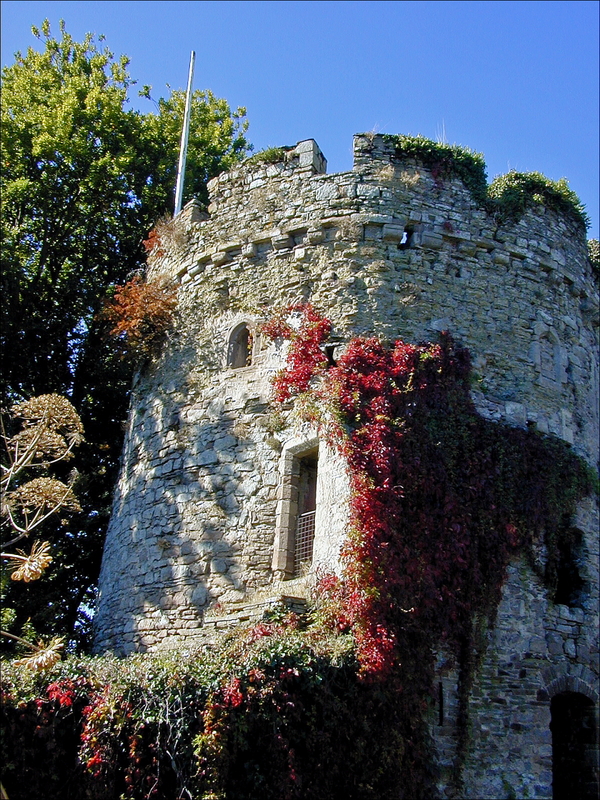 he Norman castle and town are thought to have been founded by 1120. The town was rectangular with four gateways and a ditch and bank, the western side of which was excavated in 1974. It lies upon the site of a Roman fort. The castle lies on a hill on the northernmost sector. It is first mentioned as being captured in 1138. 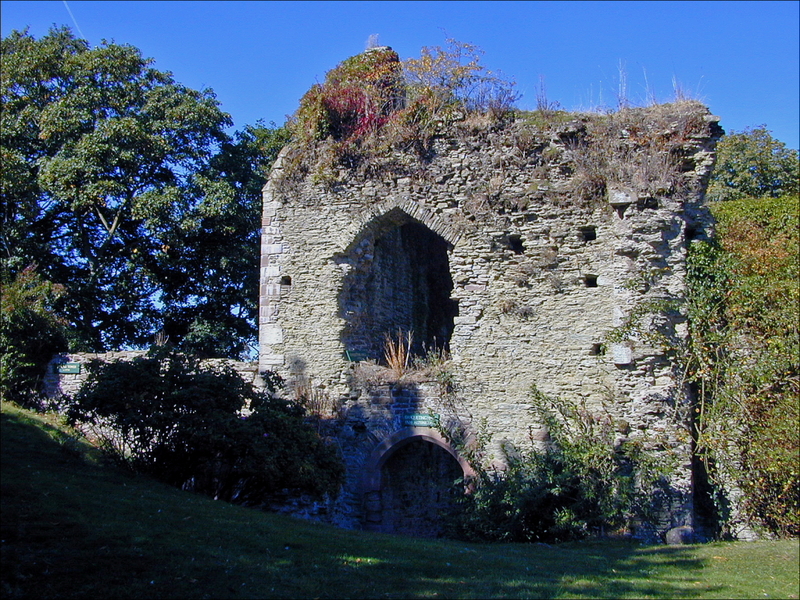 The Welsh took it again in 1174 in spite of strengthening by Richard de Clare which may have included the building of the tower keep. It was recaptured in 1184. The palisade of the bailey was replaced by a masonry wall with round towers in c1212-19 by William Marshal, earl of Pembroke. 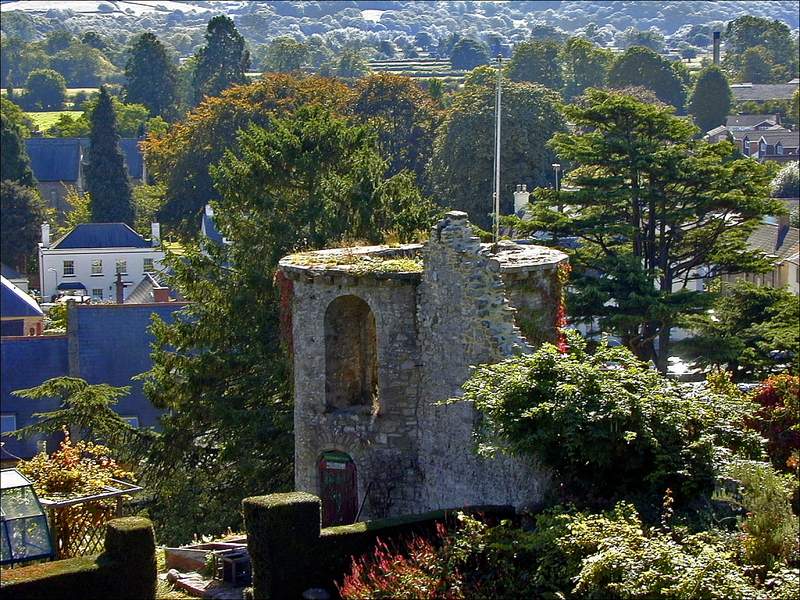 The castle was again captured during the war of 1233 between Richard Marshal and Henry III. 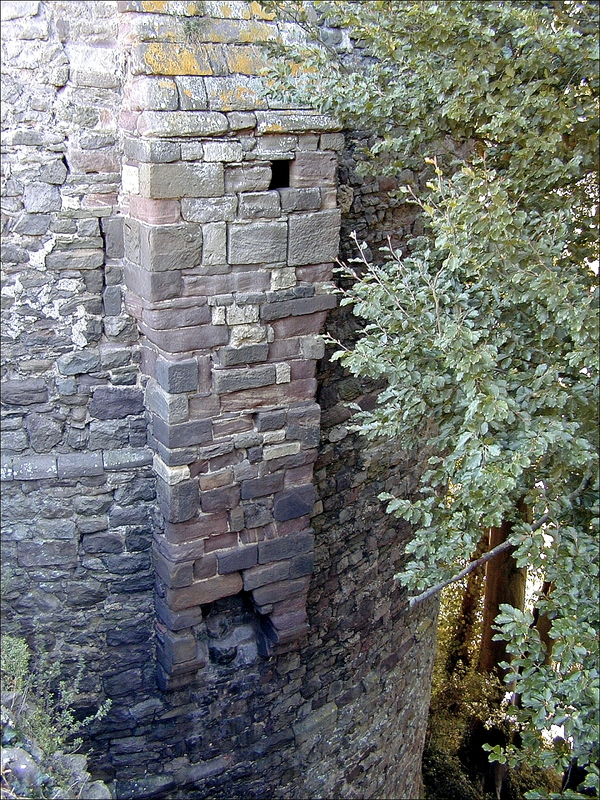 The NE round tower is said to have been erected by Gilbert IV de Clare in the 1260s when this district was threatened by Llywelyn ap Gruffydd. 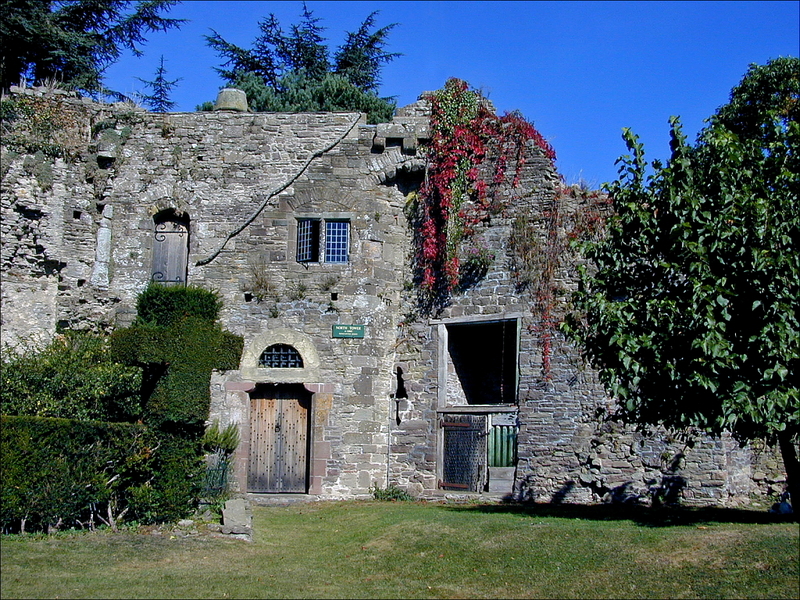 When Gilbert V de Clare was killed at Bannockburn in 1314, Usk passed to Elizabeth de Burgh who erected the hall block, chapel and solar on the northeast side. 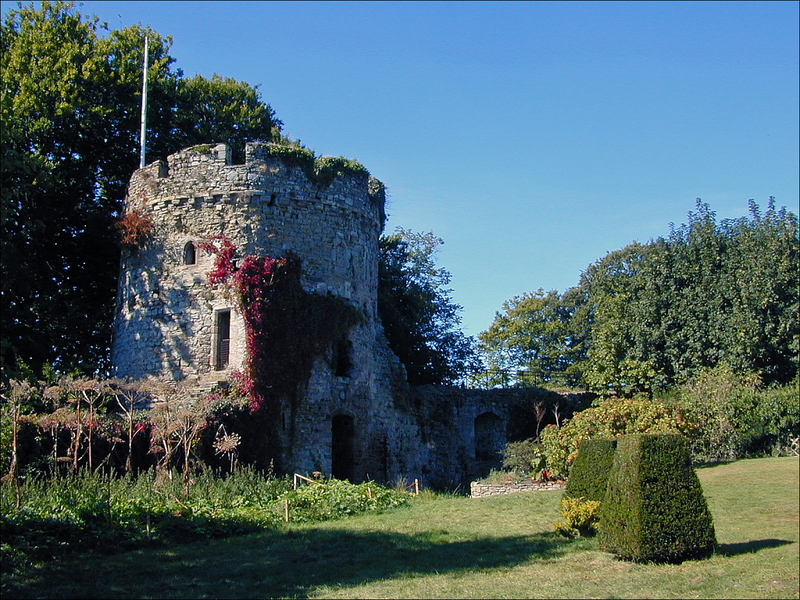 The castle later passed to the Mortimers, who walled in the outer bailey on the south with one round SW tower and a rectangular gatehouse. 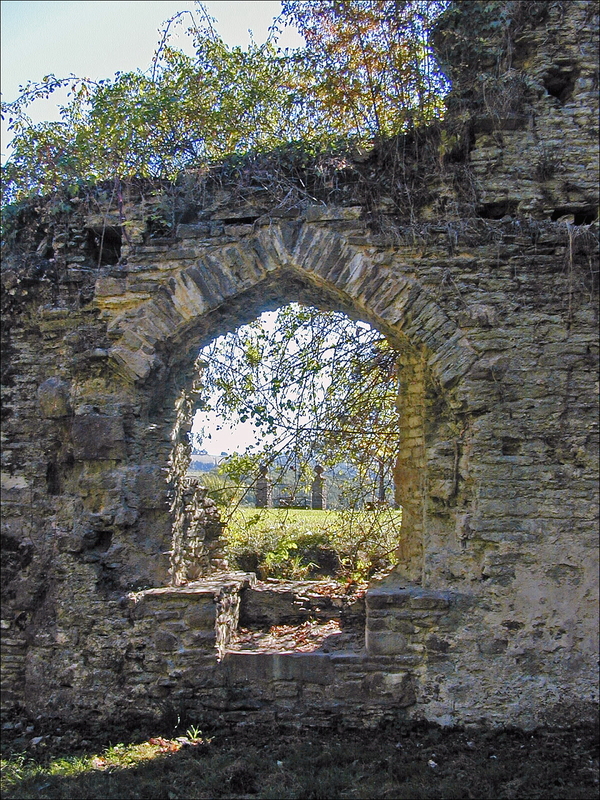 Owain Glyndwr burnt the town in 1402 and 1405, but the castle may have held out. 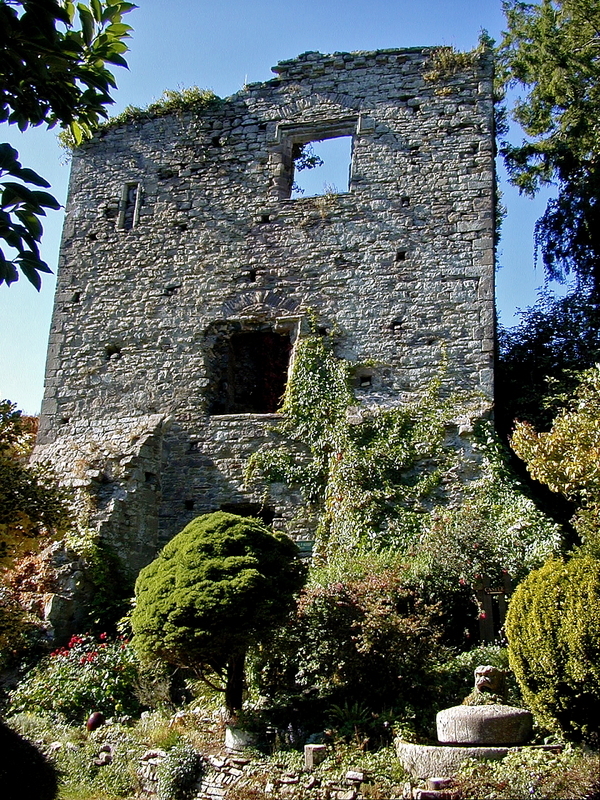 Later it became part of the Duchy of Lancaster and was allowed to decay apart from the outer gatehouse which was incorporated into a house built in the 1680s to accommodate Thomas Herbert, steward of the lordship under the then owner the Duke of Beaufort. The keep is a strange and much altered building at the SW corner of the inner bailey. It is more lightly constructed than other buildings of this type, the east wall, subsequently heavily buttressed, being only 1.3m thick and the outer walls 1.5m thick. The two double splayed round headed windows in the south wall are the only original openings. 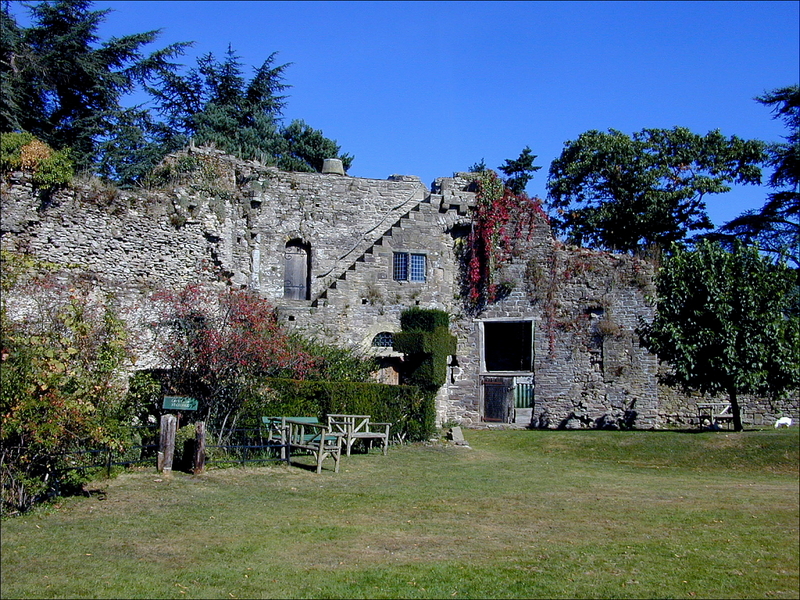 Other windows and doorways and the second and third storey fireplaces in the north wall are late medieval. 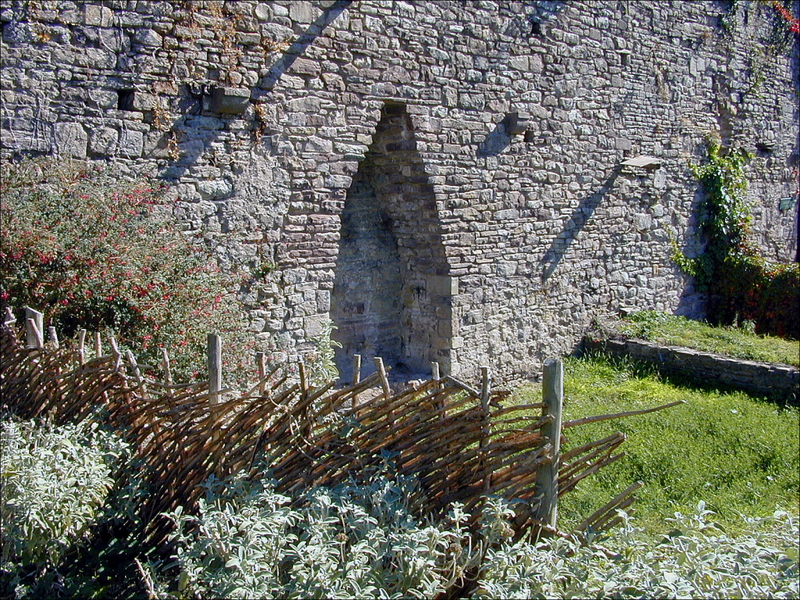 The curtain wall was mostly 2m thick although the section north and south of the west tower are respectively thicker and thinner than this.The four storey west tower, called the Garrison Tower (photo above right) on account of its supposedly having been used to accommodate soldiery, has a solid base extending far below courtyard level because of the fall of the ground on this side. A spiral stair leads to the upper storeys and curtain wall walk from the entrance. The SW tower is very ruined and has no features of interest. The NE tower is D-shaped with a diameter of about 10m. To the west are the foundations of the chapel, and beyond that the hall block, a buttressed two storey structure with the hall itself 7.2m wide by 14.6m long on the upper level. 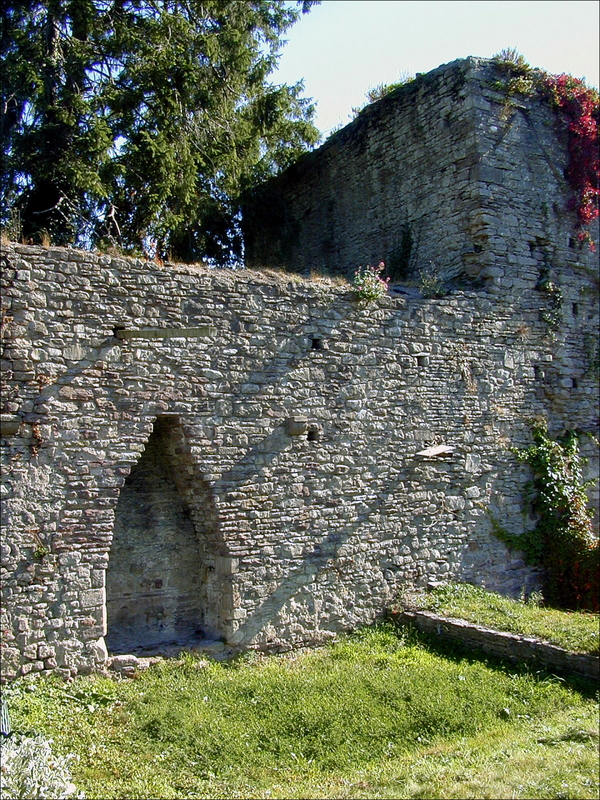 The fireplace in the north wall is a 15th-century insertion. The west gable of the roof survives showing that there were attic rooms. The ruinous solar block projects out from the curtain at the junction of the hall and chapel. Around the inside of the curtain are the foundations of various buildings. A tower must have stood about the middle of the east side to protect the plain gateway arch between there and the keep.